According to the publication, Fiat Chrysler and Google plan to work on dozens of self-driving prototypes, based on the aforementioned Pacifica minivan. This first phase of testing will then lead to the technology being built-in to the minivan when it launches later this year. As recent as last week, the Wall Street Journal (and AutoExtremist) both stated that Google and Fiat Chrysler were nearing a deal to combine the Mountain View company’s autonomous nous with the car-maker’s vehicles. Today’s report from Bloomberg corroborates those rumors and adds more detail. This is a big deal for Google and the autonomous vehicle market as a whole. Although the search giant has tested its technology in various car manufacturers’ vehicles, this would be the first time its self-driving expertise would be incorporated in to a vehicle that’s available for the public to buy. Interestingly, it’s noted that this deal doesn’t include an exclusivity agreement, meaning Google is free to talk to other car-makers about using its tech. This perhaps explains why rumors were circling earlier in the year that Ford was also talking with Google about using its self-driving software. Likewise, Fiat Chrysler is free to test other companies’ autonomous tech. An agreement between the two companies could be finalized as early as Tuesday, although both companies refused to comment on the rumor when approached for a response. The car itself, as revealed in the launch, features a 16kWh battery with an all-electric range of 30 miles, ensuring it can get up to 80 miles per gallon during city driving. This battery is hidden under the second row of seats and is paired with a gas-powered 3.6-liter V6 engine, which only kicks in when the battery runs flat. A battery, incidentally, which can charge up to full capacity within 2 hours of being plugged in to its 240-volt charger. 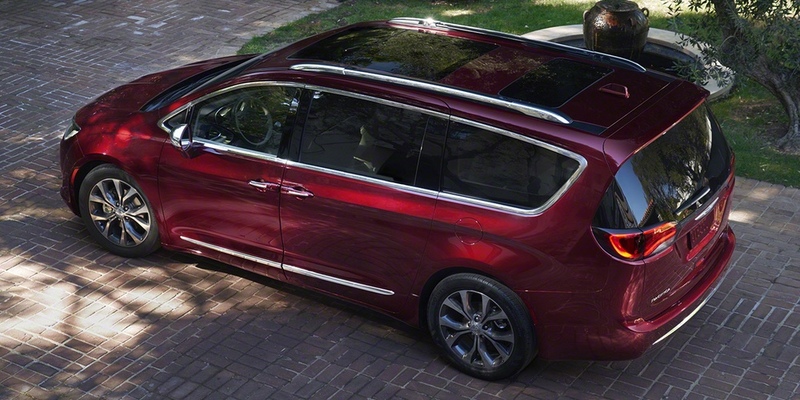 With Google’s self-driving tech working alongside the pre-existing Surround View camera, ParkSense parking assist, adaptive cruise control and forward collision warning, the 2017 Pacifica could be the best glimpse at the future of driving we’ve seen from Fiat Chrysler so far.